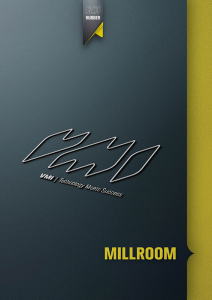 VMI’s millroom machinery proved their value to customers worldwide for already more than half a century. Some of the earliest VMI Batch-Offs are still fully functioning. In the meantime, the ongoing improvements on VMI millroom machinery kept well up with the changing customers’ needs through times and VMI even pioneered in bringing complete new principles and technologies to practical use. 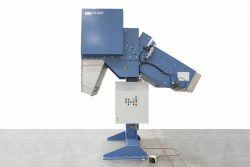 The machines are always customized to meet customers’ most specific applications. Especially in the technical rubber industry the variety of technical requirements and the optimal solution can be very diverse. 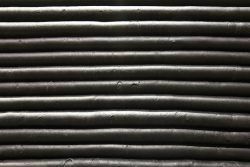 The requirements and challenges in the tire factory’s rubber millroom are usually completely different from the technical rubber industry. But within the tire industry, with its high volume millrooms feeding factories, the requirements seem to gradually converge through times. The broad experience of the VMI team, being constantly in the forefront of the newest mixing lines, is to your availability to consult you on how to optimally lay out your new or existing rubber mixing line. Reliable and customized equipment for your millroom. 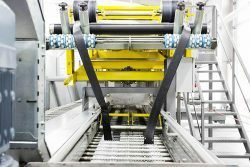 Optimization of your rubber compound handling. Durable and robust equipment for handling rubber. VMI offers a comprehensive variety of stackers and we deliver a customized solution to our customers.